Alexis Tsipras and his junior coalition partner Panos Kammenos pushed the Fast Forward button to restore a series of so-called “reforms”, that is austerity measures imposed by the country’s lenders, the Troika. Several new appointed ministers of the SYRIZA-Independent Greeks coalition started to announce thorough changes, right after they assumed office on Tuesday – and some even before they took their portfolio. Among the left-wing reforms are: scraping planned privatizations, scraping fees in public hospitals and prescriptions, restore “the 13th pension” for low-pensioners and other actions that SYRIZA had promised before the elections. The first revolutionary move was conducted by alternate Minister responsible for Citizens’ Protection and Public Order. 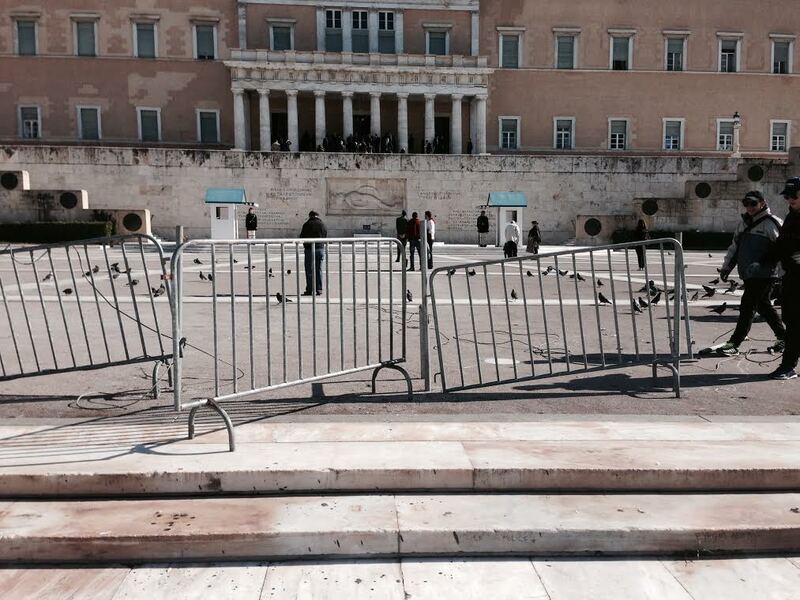 Yiannis Panousis removed the iron barricades in front of the Greek Parliament. 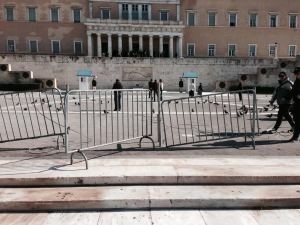 The barricades were installed to protect the lawmakers from angry demonstrators after the huge anti-austerity protests from 2010 onwards. Panousis, who is Professor for Constitutional Law, made the announcement Wednesday morning. Right after the first meeting of the new cabinet concluded, the barricades were removed. Alternate minister Andreas Xanthos announced the “targeted enhancement of the health sector”, scrapping the 5-euro fee at public hospitals and the 1-euro fee per prescription as well as reductions in the patients’ economic participation on drugs. The unprecedented financial burden imposed on patients had quite some people stop taking their medication or seek charity organizations for life-saving drugs. KTG has reported many times about the plight in the Greek health sector. Alternate Minister for Social Funds, Dimitris Stratoulis announced a stop in pension cuts and to restore the “13th pension” for pensioners receiving below €700 per month. He also said that “uninsured farmers will receive again the €360 per month. Minister for Labor and Social Solidarity, Panos Skourletis, announced that the minimum wage will be raised to €751 gross, while the collective bargains will be restored. 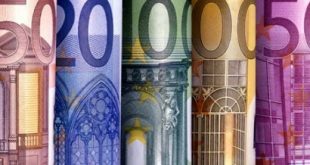 Under Troika pressure in the name of so-called “competitiveness”, the minimum wage plunged down to €580 gross and €490 gross for those below 25 years old in 2012 with the effect that households could not even cover their monthly basic needs. 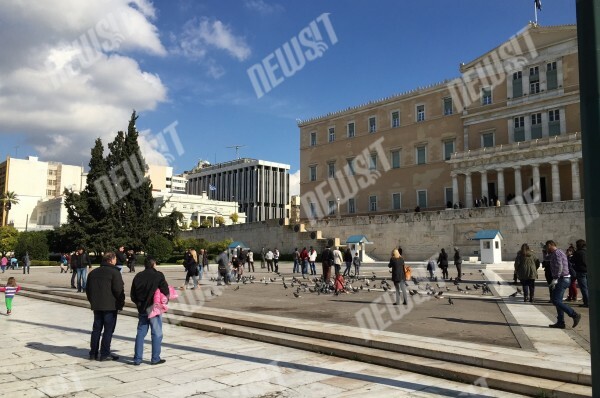 Alternate Minister for Administrative Reform Giorgos Katrougalos announced the re-hiring of those who were laid-off from the public sector in the scheme of “mobility”. According to Katrougalos, the lay-offs were against the Constitution. School guards, cleaners and teachers were laid-off in masses, after the Greek government decided to fire over night some 10,000 people in order to meet Troika’s demands for a lean public administration. 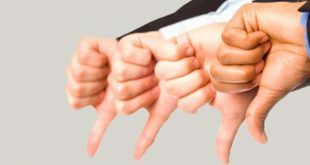 The lay-offs were not according to meritocracy criteria, the measure affected whole groups of employees. 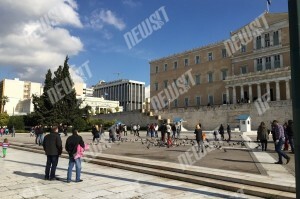 Alternate Minister for Migration policy Tasia Christodoulopoulou announced that migrants’ children born and raised in Greece will be granted Greek nationality, probably also children that came here in very young age. Taking into consideration the SYRIZA program as announced by Alexis Tsipras on January 2oth in Thessaloniki, more anti-austerity changes are on the note book of the new government. So far all ministers made their announcements in television programs. The official announcements are expected next week in the Greek Parliament when the coalition will seek vote of confidence. So far we heard no ministerial announcement on TV regarding the painful issue of over-taxation. WOW! Politicians that actually keep their promises? It can’t be. The end of the world must be very near. Reading this I couldn’t help thinking about the REM song “It’s the end of the world as we know it (and I feel fine). It was played at the start of the movie Independence Day and we all know what happened next!